History: Designed and built for Herman 'Swede' Whiton. Also owned by the Norwegian whaling magnate, Magnus Konow. It could be argued that Llanoria is laden with more significant trophies and accolades than even US 81 Goose. Llanoria is the only 2-time Olympic Gold Medal winner. The first came in 1948 in Torquay, the second at Helsinki in 1952, the last Olympics in which sixes competed. Llanoria won the One Ton Cup twice, first in 1951 then in 1957, as well as the Seawanhaka Cup twice, first in 1948 and then in 1953. Llanoria was sold to Norway (N84) for a few years then returned to the USA. She was based in Victoria, Canada in the 70's and competed in both the 1973 and 1979 World Championships in Seattle. Harry Hofmann and his son Peter then acquired her and performed a complete rebuild in the mid 80's. After a brutal t-bone collision in 1985 with KA8 Pacemaker the boat was out of the water until June 2011. Llanoria's performance since her restoration at Jespersen Boatbuilders has been impressive. 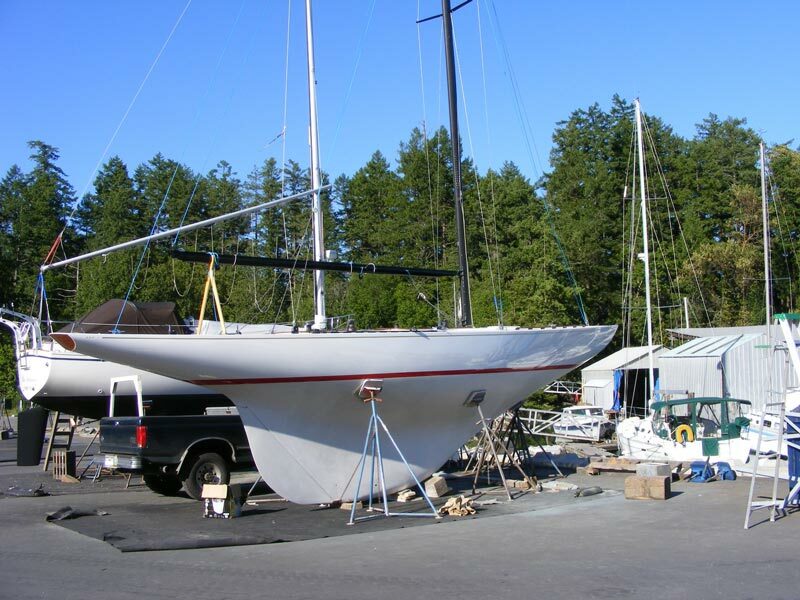 She placed 3rd in her post-restoration debut at the 2011 World Championships in Finland in a field of 45 boats, then placed 2nd at the 2012 European Championships in Nynashamn. In 2013 she was again on the podium, placing 3rd at the 2013 Robbe & Berking sponsored World Championships in Flensburg. 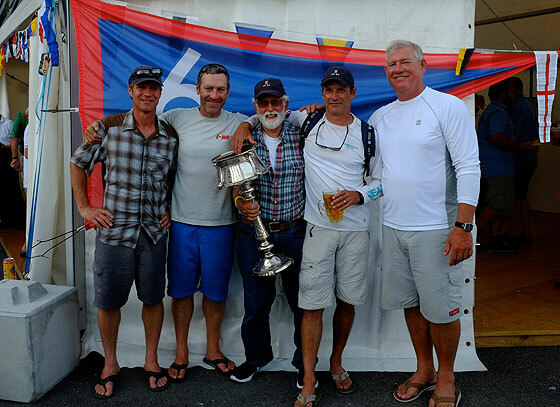 Llanoria dominated the warmup regatta at the abandoned 2014 European Championships at Falmouth and won the 2015 World Championships on Quiberon Bay, near La Trinite sur Mer in France under Eric Jespersen's steady hand. 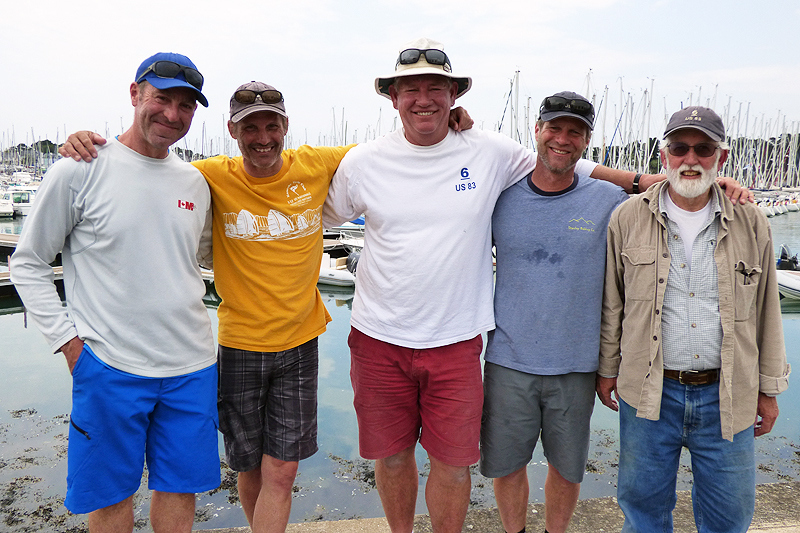 The same crew on Llanoria recently won the 2016 European Championships at Brunnen, Switzerland, as well as the 2016 North Americans in San Francisco under Ben Mumford. Llanoria is now back in the Pacific Northwest and will next compete in the 2017 Worlds in Vancouver. Llanoria (in the air) being moved into Peter Hofmann's shop as Goose is moved out.